The first dance or percussion class is free for newcomers. No prior experience needed, come and try our classes! Language of instruction in all dance and percussion classes is Finnish but it is possible to ask questions in English. During our dance classes you can get far by just following what the teacher does, and in percussion classes the teacher usually repeats key instructions in English if there are non-Finnish speaking participants in the group. Please ask for further information on our classes, if you are interested in participating or would like to know more details. Course descriptions are available in Finnish for now. Look no further, the best samba teachers are here! 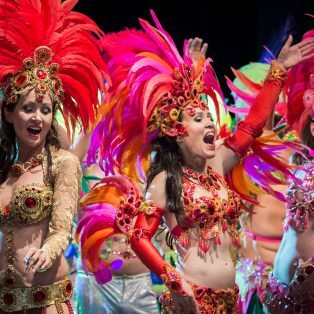 Our teachers look for inspiration directly from Rio as well as from other top samba schools in Europe. Introductions are on our Finnish page for now. Teachers by classes are on our Finnish site. 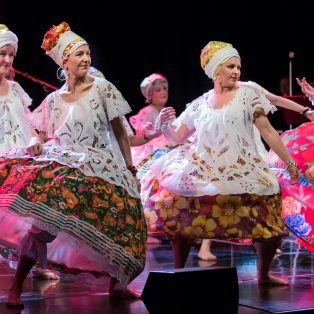 Papagaio dancers perform in various events, and there are two dance groups available for members interested choreographies, performing on gigs and parades.